In the past two weeks, Simply Bridal was kind enough to provide us with wonderful ideas on "something old", and "something new". 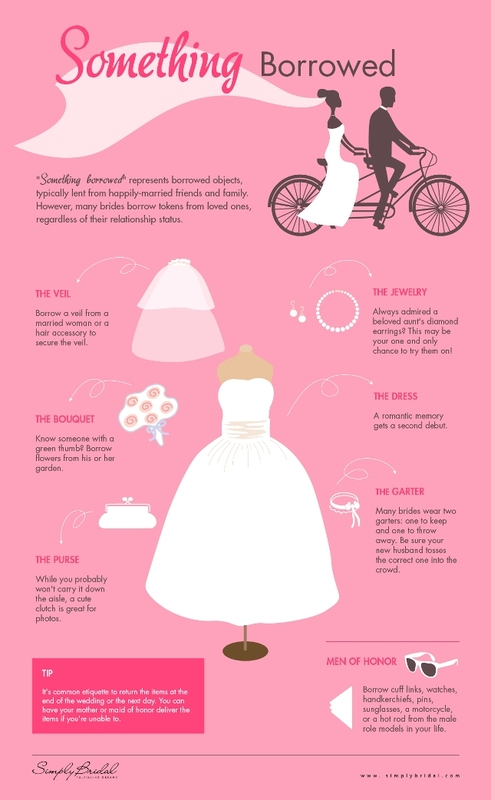 This time around, we are covering the "something borrowed" aspect of it. Out of all the "somethings", this is probably the most unpopular one just because we tend to be proud when it comes to these things especially when we are too conscious of what other people might say if they knew that some wedding elements have been recycled. But we say why the hell not? Reduce, Reuse, Recycle is what we say! Useful tip i must say that.